The Cabinet Committee on Economic Affairs chaired by the Prime Minister gave its approval for restructured Centrally Sponsored Scheme of Rashtriya Gram Swaraj Abhiyan (RGSA). 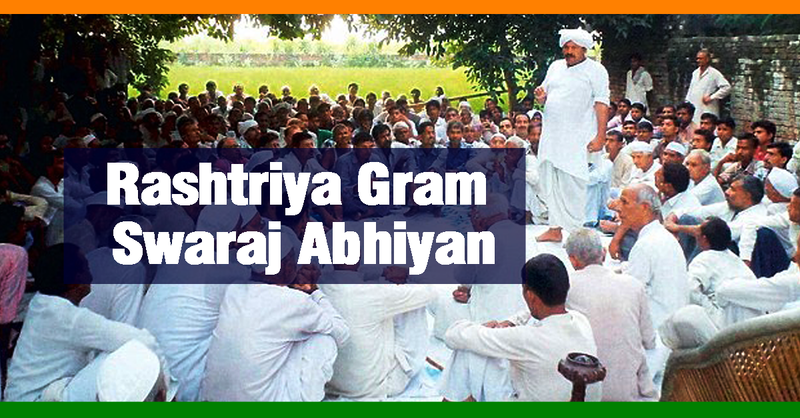 Rashtriya Gram Swaraj Abhiyan (RGSA) is aimed at building infrastructure and stepping up initiatives for e-governance. It will be launched on the National Panchayati Raj Day on April 24. The focus of the scheme would be on training, building infrastructure, stepping up initiatives for e-governance under the e-Panchayat Mission Mode Project (MMP). The scheme will extend to all the states and Union Territories and will also include institutions of rural local government in non-Part IX areas, where panchayats do not exist. It will be under the Ministry of Panchayati Raj. The sharing ratio for the state components will be 60:40 barring the Northeast and hilly states where it would be 90:10. For Union Territories, the central share will be 100 percent. The key principles of Sustainable Development Goals, i.e. universal coverage, leaving no one behind, reaching the farthest first, along with gender equality will be embedded in the design of training, training modules and materials as well as all the other interventions in capacity building. Programmatic convergence with Mission Antyodaya Gram Panchayats and 115 NITI Ayou identified Aspirational districts is kept in view while designing the scheme. As Panchayats have the representation of women, Schedule Castes, Schedule Tribes and are institutions at the grassroots level, strengthening Panchayats would result in the promotion of inclusiveness and equity, along with Social Justice and economic development of the community. Increased use of e-governance by Panchayati Raj Institutions (PRIs) will help in achieving improved levels of transparency and service delivery. Gram Sabhas would be strengthened to function as effective institutions with social inclusion, in particular, the vulnerable groups.